Disclaimer: Los Tweens attended a L’Oreal Paris event and was provided with a gift bag of products. However, all opinions expressed are our own. From the time she was deemed old enough, my great-aunt whom we affectionately called Tia was taught to never leave her room without applying her makeup. Even if the most exciting event of the day was the finale of her telenovela, she always spent the first 30 minutes of her day making sure she looked her best. Every day without fail this was her routine until she passed away at the ripe old age of 99. As much as she attempted to ingrain this routine on me, it never stuck. I believe beauty can be achieved simply, demands on women are different now and really who has the time? I have three kids hanging off of me when I try to brush my teeth. But there is one belief that I have taken from Tia and that is to always take time for yourself because when you look your best you feel your best. To make this happen, I have an arsenal of my favorite go-to products for those moments when all I may get are a few minutes to myself. One of my latest additions is L’Oreal’s Miracle Blur. While there are so many products on the market that promise to reduce the visibility of lineas, arrugas y poros, Revitalift Miracle Blur truly accomplishes this. It’s one of my favorite new products on the market right now and I found that I am not the only one who is head over heels with Miracle Blur. Dermatologist Dr. Flor Mayoral and I gabbed and shared tips about our love for the product. Dr. Mayoral even keeps a bottle in her purse for those unexpected occasions (the ones Tia planned for every morning). My favorite tip from Dr. Mayoral, “Mix Miracle Blur and your foundation on the back of your hand before applying it to your face for flawless application.” I tried it and it works! 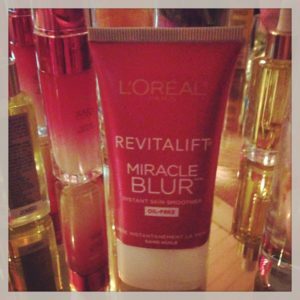 L’Oreal’s Revitalift Miracle Blur now comes in an oil-free formula for the approximately 50% of us who have oily or slightly oily skin. In a recent test, 86% of women said the appearance of pores disappeared almost immediately and 76% of women said they’d use less make-up now that Miracle Blur is helping do the work. Revitalift Miracle Blur has become a staple in my makeup drawer and one of those items I reach for when I’m in a rush. A little bit goes a long way. 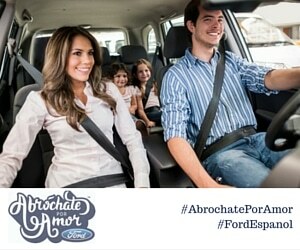 Looking our best is important not only for us but for our entire family. What are your favorite go-to products? Were you taught to “put on your face” before you left the house as well? AND!!! Enter the giveaway! We’re giving away L’Oreal eye liner, a CC Cream, Feria Wild Ombre hair color and Voluminous Excess Mascara (which is quickly becoming another one of my favorite go-to products!). See the details below. To enter: What’s your one beauty product that you just can’t leave the house without applying? Enter the answer in the comments and be sure to enter an email address when register to comment so we can reach you if you win! Rules: Must be 18 or older U.S. citizen to enter. Only one entry per person. Deadline to enter is 8:00 am EST July 31, 2013. 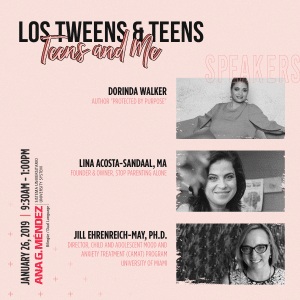 This entry was posted in For Mothers & Tias, Product Reviews and tagged beauty, between amigas, fashion, L'Oreal Paris, makeup, makeup tips, Mom Tips, moms. Bookmark the permalink. Thank you everyone for entering! The winner of the giveaway is Cindy Navarro! Congrats and keep checking back as we have lots of fun giveaways still planned.